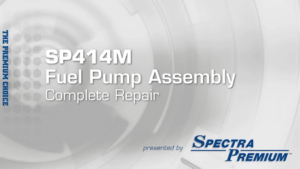 Spectra Premium Industries Inc. is a privately held company headquartered in Boucherville, Quebec, Canada. 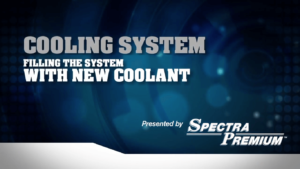 Spectra Premium™ is a team of more than 1,300 dedicated employees that specializes in automotive parts design, manufacturing and distribution for cooling systems, fuel delivery, ignition and engine management, climate control and undercar. The Company owns and operates four manufacturing plants and 18 warehouses. With its distribution networks in the United States, Canada, Mexico and Europe, and its unparalleled customer and after sales service, Spectra Premium™ is the automobile manufacturers’, auto technicians’ and handymen’s choice for reliable, quality parts and automotive systems. 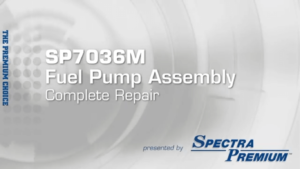 In this video our Product Training Director will explain how to replace a Fuel Pump Assembly (SP7036M), a Filler Neck(FN651), and Fuel Tank Straps(ST191). The vehicle shown is a 2002 Dodge RAM 2500 5.9L Diesel. Some procedures may vary depending on your model. 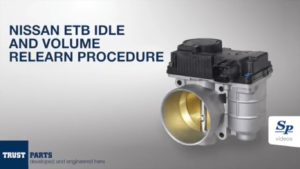 In this video our Product Training Director will explain how to replace a Fuel Pump Assembly (SP6013M), a Filler Neck(FN720), and a Fuel Tank (GM56B). The vehicle shown is a 1996 Oldsmobile Bravada 4.3L.Some procedures may vary depending on your model. Congratulations on installing your brand-new spectra premium electronic throttle body. 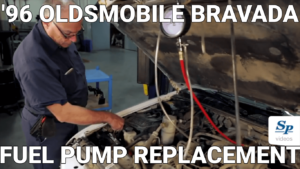 In this video, we’ll be going through the required relearn instructions for your vehicle. But before we do that, there’s a few things we need to look at.